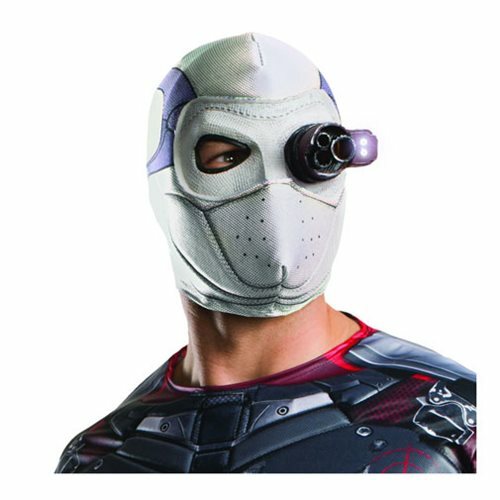 Suicide Squad Deadshot Deluxe Light-Up Latex Mask. For a tighter fit, clean household sponges may be glued in the top or sides of the mask. Requires 3x "LR44" batteires, included. Product contains Latex. Ages 14 and up.